Summer in Pono continues to be an enriching, exciting, and engaging experience! Dr. A returned this week with materials for our gerbil condo and we carefully measured, cut, and taped chicken wire for the gerbils’ new addition. We also engineered fun obstacles that would allow the gerbils to climb up and through a bent and curved wire. The littlest Pono friends met with Dr. A to practice using a balance scale. They collected objects to test their weight and soon ended up with a good part of the Pono library on the scales! Pono friend Oscar led a lesson on Thursday about his favorite book series, Flat Stanley. Oscar’s enthusiasm for his subject was infectious! He read us the first chapter of the first book and then invited everyone to color a Flat Stanley and make up their own adventures for the character. We all shared our stories and laughed at Stanley’s many escapades! On Thursday afternoon Julia Foote brought her guitar and joined the littlest Pono friends for music in the garden. The children started off sitting in a circle but were soon on their feet. They danced along to Julia’s accompaniment and especially enjoyed a rousing version of “If You’re Happy and You Know It.” They even learned how to do “The Hokey Pokey!” Later, Julietta joined the children in the garden for some literacy time! We’ve entered the dog days of August and what better way to cool off than with a tasty, all-natural watermelon slush? In Tuesday’s math and cooking lesson with Maysaa, the children chopped a ten-pound watermelon, blended it with ice, added a touch of coconut sugar, and voilà, they had the perfect summertime drink! In addition to measuring ingredients for the slush, the children also solved various equations. The littlest Pono friends practiced writing numbers with a magnetic stylus and played a matching game. This week in literacy the older children finished working on their short i and long a lists. They also played a fun new game, listening for words from their lists as Julietta read a passage and writing the words using standard spelling. The younger children played “Sentence Act,” a new game in which one person acts out a sentence and the others guess which verb and noun she or he is depicting. This activity combined writing word cards, reading sight words, decoding new words, bodies in motion, sitting in thought, and group intellectualizing. It was a multi-modal blast! On Tuesday afternoon, Kate and the littlest Pono friends brought some whimsy to Marcus Garvey Park as they blew bubbles and joyfully chased after the shimmering spheres. Later in the day, they did some finger-painting and listened to the flute! Also on Tuesday, after learning about John Taylor Gatto, an education activist, the children engaged in a genuine act of kindness and wrote letters to John thanking him for being a courageous teacher. John is the author of renowned classic Dumbing Us Down: the Hidden Curriculum of Compulsory Schooling. Our week got off to a very active start, with not one but two trips on Monday! We first headed to Midtown’s DANY Studios, where we joined Paul Keoni Chun for Yo-Dan-Nastics, a noncompetitive fusion of yoga, dance, and gymnastics. The children warmed up with stretches and creative movements on the mats, and Jasper demonstrated a skillful handstand. Then everyone hopped, bounced, and jumped their way through an obstacle course. Of course, the trampoline made all of this extra fun! Next we walked to nearby bowling alley Frames, where we celebrated Towa’s birthday. The dance music and flashing lights got all of the Pono friends moving and they cheered each other on as their bowling balls hurtled down the lanes. Everyone was quick with hugs and words of encouragement. It was striking to see such warm displays of friendship! 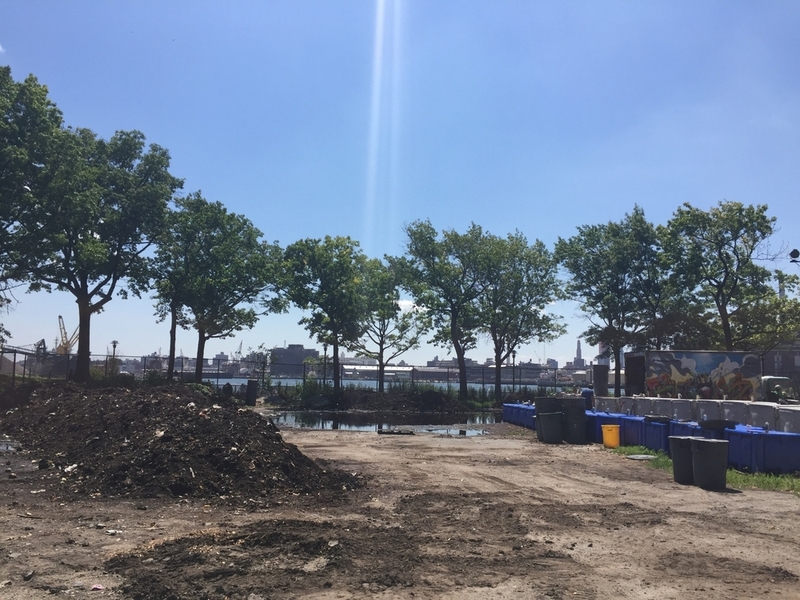 On Wednesday we made our way to the Lower East Side Ecology Center, located in East River Park. Our guide, Dan Tainow, told us that the average New Yorker produces about three pounds of garbage a day and explained how recycling and composting can help reduce this waste. Zoë asked, “Why can’t we make it so there’s no garbage?” which led Dan to explain NYC’s ambitious Zero Waste program. He then took us to the Center’s large-scale composting area, where the children inspected the bins, ran their fingers through composted soil, and met a red wiggler worm up close. 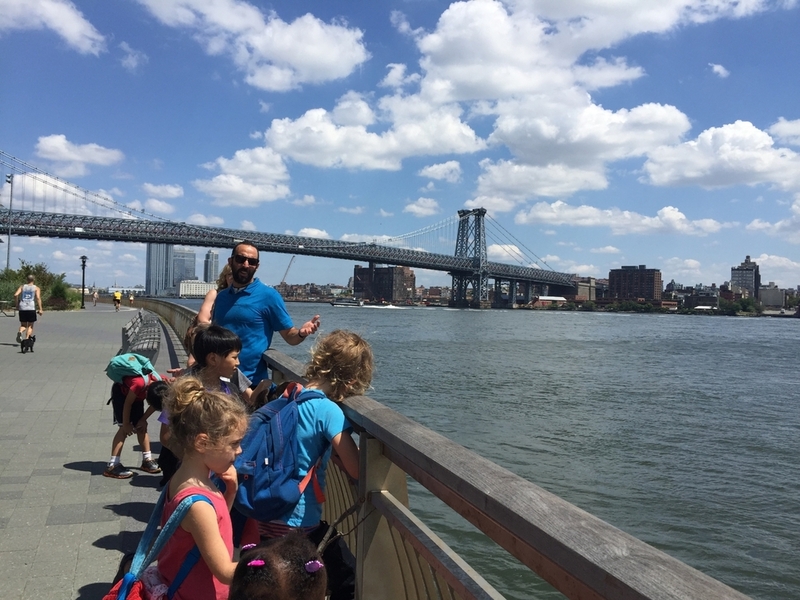 Later we walked along the East River as Dan explained the successful efforts that have dramatically cleaned the river in recent years. We ended our visit at the East River Park Environmental Learning Center, where we got to see horseshoe crabs and other specimens in the Center’s river water tank. We’re happy that our city and its rivers are getting cleaner and greener! Comic Book Friday will return next week.